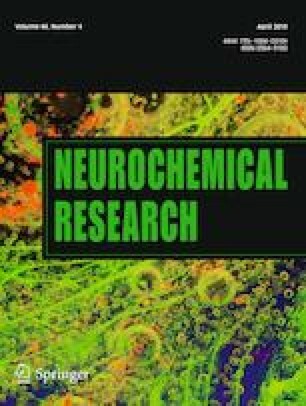 The link between mitochondrial dysfunction, redox impairment, and inflammation leads to increased rates of brain cells loss in neurodegenerative diseases and in affective disorders. Carvacrol (CAR) is a component of essential oils found in Labiatae. CAR exerts antioxidant and anti-inflammatory effects in different cell types, as assessed in both in vitro and in vivo experimental designs. Nonetheless, it was not previously investigated whether and how CAR would prevent mitochondrial impairment in human cells exposed to a pro-oxidant challenge. Therefore, we analyzed here whether a pretreatment (for 4 h) with CAR (10–1000 µM) would promote mitochondrial protection in the human neuroblastoma cells SH-SY5Y exposed to hydrogen peroxide (H2O2). We found that CAR at 100 µM prevented the H2O2-induced decline in the activity of the complexes I and V, as well as on the levels of adenosine triphosphate (ATP). CAR also prevented the H2O2-elicited decrease in the activity of the mitochondrial enzymes aconitase, α-ketoglutarate dehydrogenase, and succinate dehydrogenase. Moreover, CAR induced an antioxidant action by decreasing the levels of lipid peroxidation, protein carbonylation, and protein nitration in the mitochondrial membranes. Interestingly, CAR prevented the pro-inflammatory action of H2O2 by downregulating the transcription factor nuclear factor-κB (NF-κB). The inhibition of the heme oxygenase-1 (HO-1) enzyme by zinc protoporphyrin IX (ZnPP IX, 10 µM) suppressed the preventive effects caused by CAR regarding mitochondrial function and inflammation. Thus, it is suggested that CAR caused cytoprotective effects by an HO-1-dependent manner in SH-SY5Y cells exposed to H2O2. The online version of this article ( https://doi.org/10.1007/s11064-019-02724-5) contains supplementary material, which is available to authorized users. This work was supported by the Conselho Nacional de Pesquisa e Desenvolvimento Tecnológico (CNPq; Edital Universal 2016; 400216/2016-7) and by the Fundação de Apoio à Pesquisa do Estado de Mato Grosso (FAPEMAT; Edital Universal; 222541/2015). ALC receives a CAPES fellow (Bolsa de Mestrado).